It’s tough to get good mask data on a wide range of consumer masks. I’ve posted some of my own test data and test data from Dr. Saint Cyr. 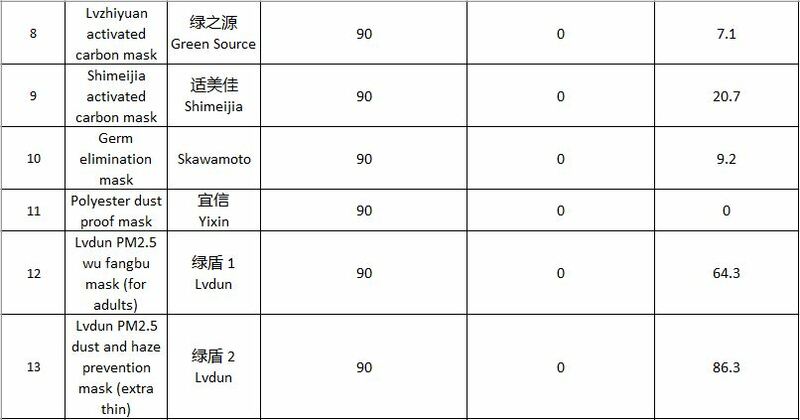 But another great source of even more mask tests comes from the Shanghai Municipal Bureau of Quality and Technical Supervision. I’ve linked to their tests several times, but now they’re down for some reason. Thanks to the Internet Wayback Machine, I was able to locate an archive of their results, and I’m posting them here so that everyone has access to this important data. 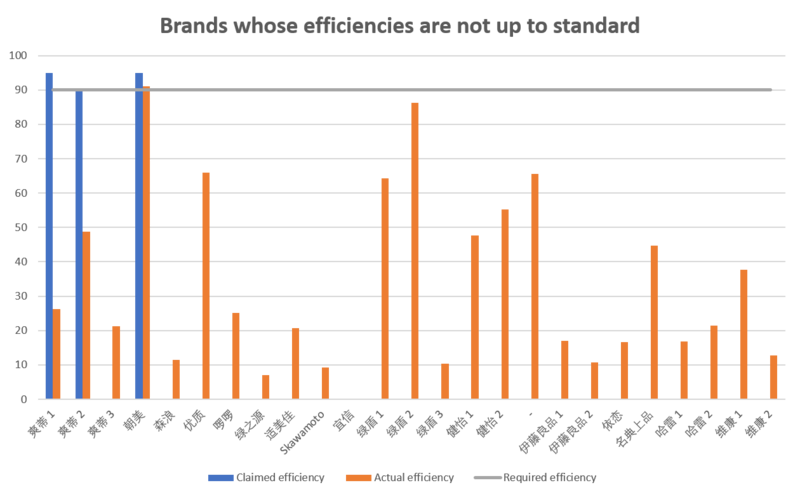 I have separated the list into ‘Brands whose efficiencies are up to standard’ and ‘Brands whose efficiencies are not up to standard’ and it is noteworthy that many brands have efficiencies that are way below the standards set by the officials. Therefore, it is important to choose your masks carefully! 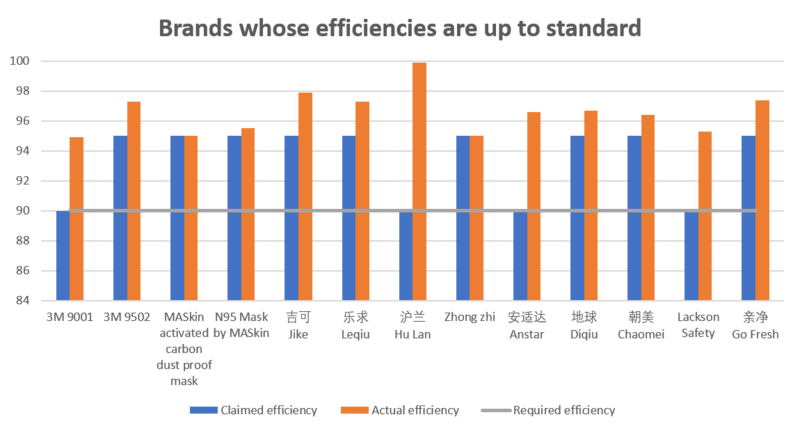 The Tables are shown below followed by the bar charts which can clearly differentiate the build quality of the masks. 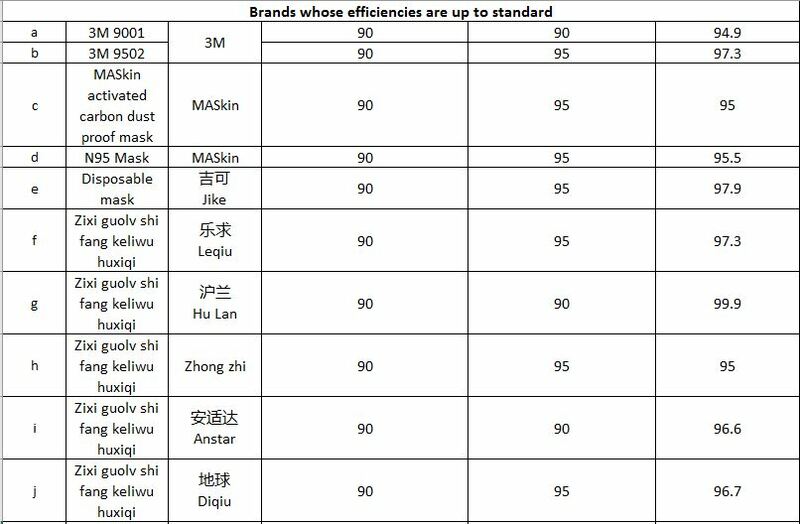 The masks are also labeled from 1-25 and a to m respectively for brands whose efficiencies are not up to standards and brands whose efficiencies are up to standards for easy reference. 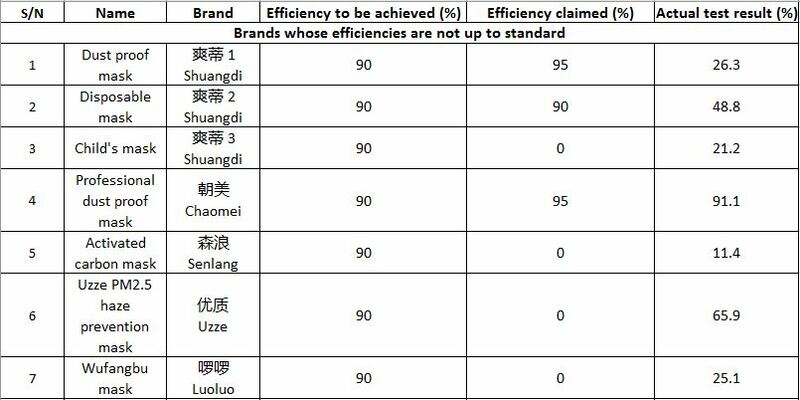 Keep in mind that these are tests of filtration effectiveness. They are not mask fit tests (which you can read more about here).